Check out this great opportunity to meet 3 great celebrities!! Three teen stars from Nickelodeon and Disney’s hottest television shows will visit North Point Mall on February 23 and Perimeter Mall on February 24 from 1 – 4 p.m. to promote Visit Myrtle Beach. Noah Munck, stars as Gibby on Nickelodeon’s “iCarly,” Calum Worthy, stars as Dez on Disney’s “Austin & Ally,” and Peyton List, stars as Emma on Disney’s “Jessie,” will headline the event promoting Myrtle Beach as the ultimate vacation destination. Munck, Worthy and List will engage with fans by signing autographs and taking pictures for the ultimate up, close and personal fan experience! Additional on-site entertainment includes face painting, a live DJ and fun, festive giveaways throughout the day. Visit Myrtle Beach will also give away free weekend trips that include lodging, dining and entertainment discounts. These two events sound amazing!! Please go as early as your parents will let you! Usually, fans line up early and get wristbands for events like this. Often, Many more people go Than the celebs can actually meet And security closes the line after a certain number if people line up! 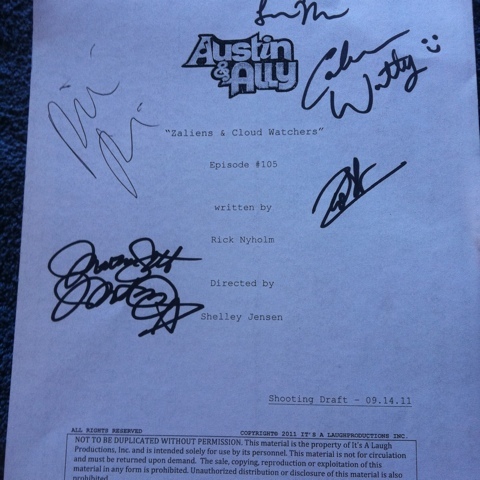 Austin and Ally premiered on Disney Channel on December 2, 2011. It stars 4 young actors. Lauren Marano plays Ally, a shy song writer who lives with her dad. Together they own and run a music store in Miami. Austin is a confident singer who is played by Ross Lynch. 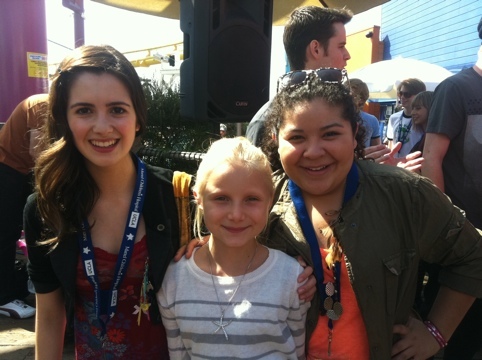 Ally’s best friend is Trish played by Raini Rodriguez. She can’t seem to keep a job for more than a day and has funny uniforms and things happen to her at her many jobs! 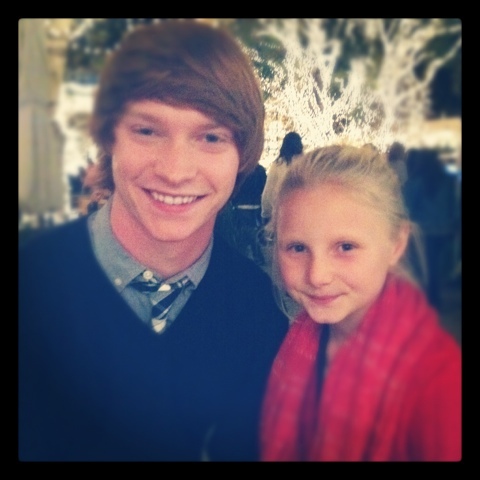 Austin’s buddy is Dez played by Calum Worthy. He always supports Austin but he isn’t too smart. Laura was born in Los Angeles, California and is little sister to Vanessa Marano who stars in Switched at Birth. She has had several roles on TV. She was on Are You Smarter than a 5th grader. She has also done voice work on Ice Age and Finding Nemo. Ross was born in Colorado. He is one of 5 siblings who are all musically talented. They formed a band called R5. His brother Riker is a Warbler on GLEE. 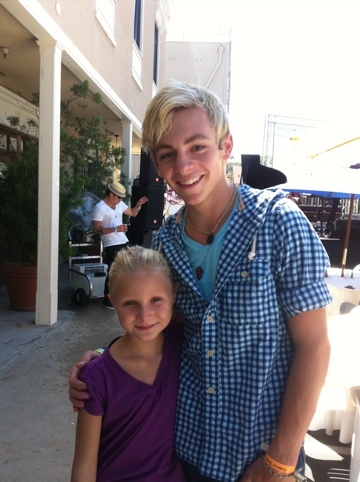 Ross is very talented musically and is a gifted guitar player. He has had a few acting roles before being cast as Austin. Raini was born in Texas and also has a famous sibling. 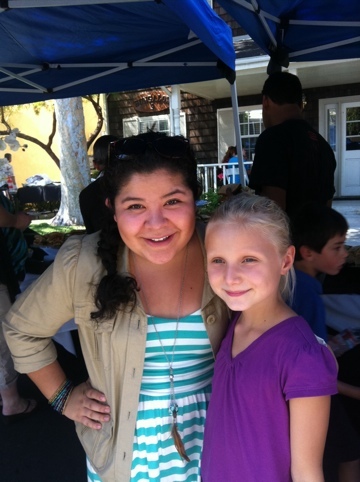 Her Brother is Rico Rodriguez who plays Manny on Modern Family. Raini guest starred on Suite Life of Zack and Cody and had a sleep over in London Tipton’s Suite. She also had a recurring role on I’m in the Band as Annoying Irene who had a crush on Tripp. She starred as Kevin James’ daughter in Paul Blart:Mall Cop. She was Nicholas Braun’s sister in PROM. Calum was born in Canada. He has had lots of acting roles and has over 45 credits as an actor on IMDB. 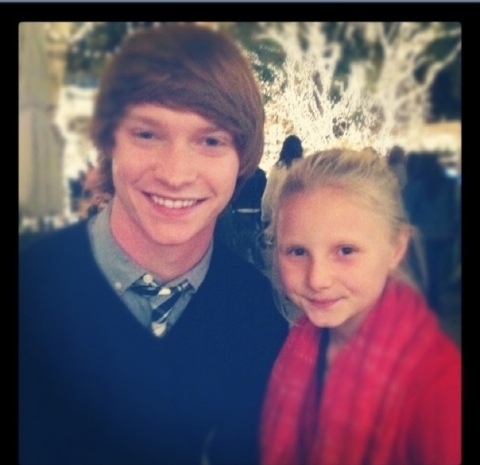 He guest starred in an episode of Good Luck Charlie and had roles in Supernatural and Smallville. He has a new project coming out later this year called Rapturepalooza! I’ve met all these actors and gone to a taping! They are all very sweet and nice. I hope you enjoyed learning more about them. And follow me too @alexirob I try to help you meet stars and know about upcoming projects and events.